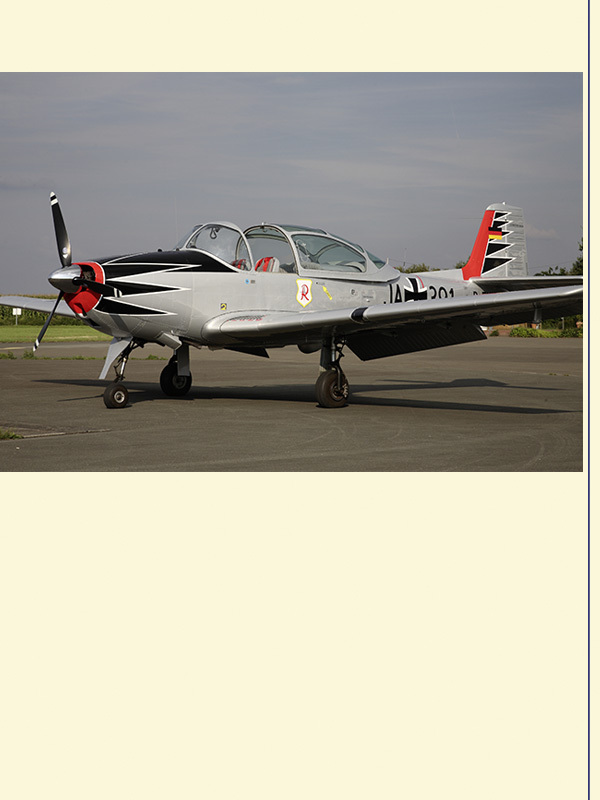 The aircraft is a Focke-Wulf Piaggio FWP-149 D. It is a aerobatic training- and liaison aircraft. The aircraft has the S/N 081 and was built in Bremen. The engine is a, at BMW license built Lycoming B1A6. The Propeller is a Piaggio P1033/G4-DA. The aircraft is a special one, since its first use was in the Jagdgeschwader 71 Richthofen in Ahlhorn. The commanding officer was Erich Hartman the famous fighter ace of the Second World War, who had 352 aerial victories. His special signature on his BF 109 he flew was the black tulip, which he adopted to aircraft he flew of the JG 71 as the FWP s and F-86 Sabres.